To compete with Jio, Airtel finally comes ahead with unlimited free calling packs 148, 345, & 349. Customers can make unlimited Airtel call to any network without paying extra charge for both Local & STD voice calls. Airtel launches different types of Combo packs reviewing customers trends going on in different locations across India. Pricing of Airtel Unlimited calling packs is little tricky! 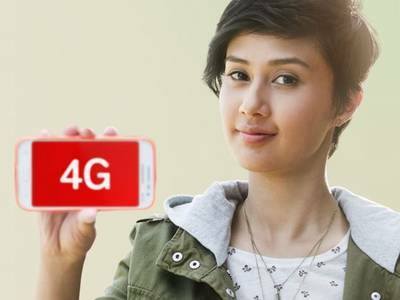 Airtel launches two ‘unlimited Airtel to Airtel calling packs’ worth Rs 148 & Rs 349. Both these packs offer unlimited voice call to any Airtel number for both Local & STD numbers. Voice Pack 145 comes with 300mb for 4g mobile. On the other hand, pack 349 comes with 1GB of 3g/4g data. Both the offer pack come with 28 days of validity. Airtel launches one more voice pack worth Rs 345 which allows subscribers to make unlimited Airtel call to any network across local & STD mobile & landline numbers. Price of Airtel ‘Any network unlimited calling pack’ is cheaper compared to ‘On-net unlimited pack’. Airtel subscribers with ‘Free call to Any network plan 345′ will also get 300MB of 3g/4g data. Same subscribers will get 1GB 3g/4g data if he/she owns 4G handset. This pack also comes with 28 days of validity. Be sure to choose preferred plan before activating any offer pack. Pricing of above three voice packs may vary circle to circle. To get right pricing of Airtel unlimited voice calling pack, download MyAirtel app and check ‘Special Offer’ available for your Airtel mobile number or check one.airtle.in while using Airtel 2g/3g pack to get same information. Airtel launched its infinity plans for the postpaid customer. There are 3 offers in the infinity plan based on the customer’s uses and preferences. All these plans are valid for one cycle period. Apart from this, the company is also offering SIM activation within 2 hours in a very easy and simplified manner. Select your plan on airtel.in/myplan. Agent meet to verify your documents and details. Within 2 hours the SIM gets activated along with the plan.